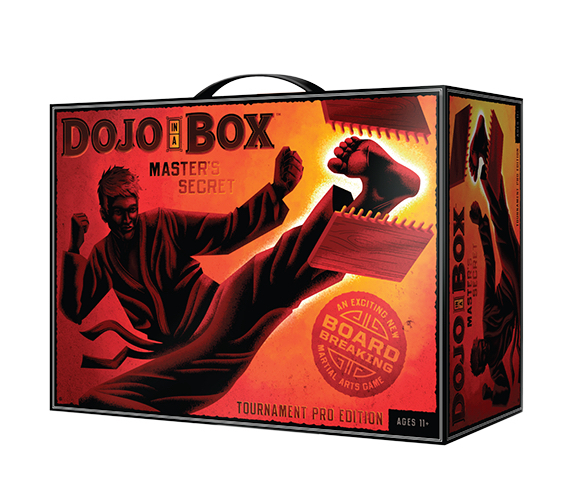 This Tournament Pro Edition, Great for after school and Summer Camp programs, (includes (3) boards) is the deluxe upgrade from the Classic Edition. By adding a professional Board Holder and more difficult boards, we have increased the excitement and fun. Break one, two or even three boards with 20 different martial arts strikes. Comes with three rebreakable martial arts boards, Gorilla Board Holder with convenient mounting hardware, four game spinners, scorecard pad, and secret training manual.